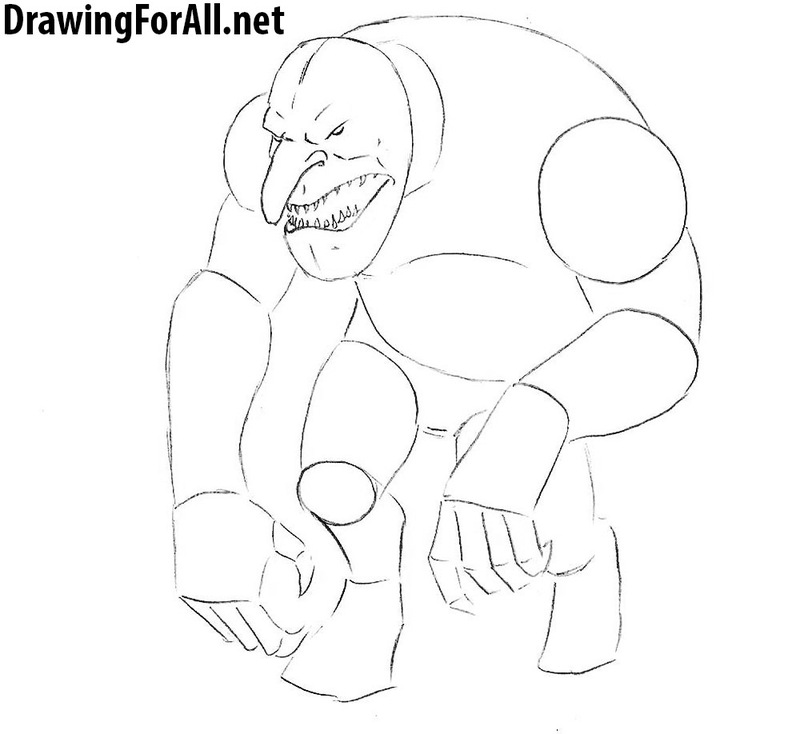 Hello dear readers and welcome to the lesson on how to draw a troll! 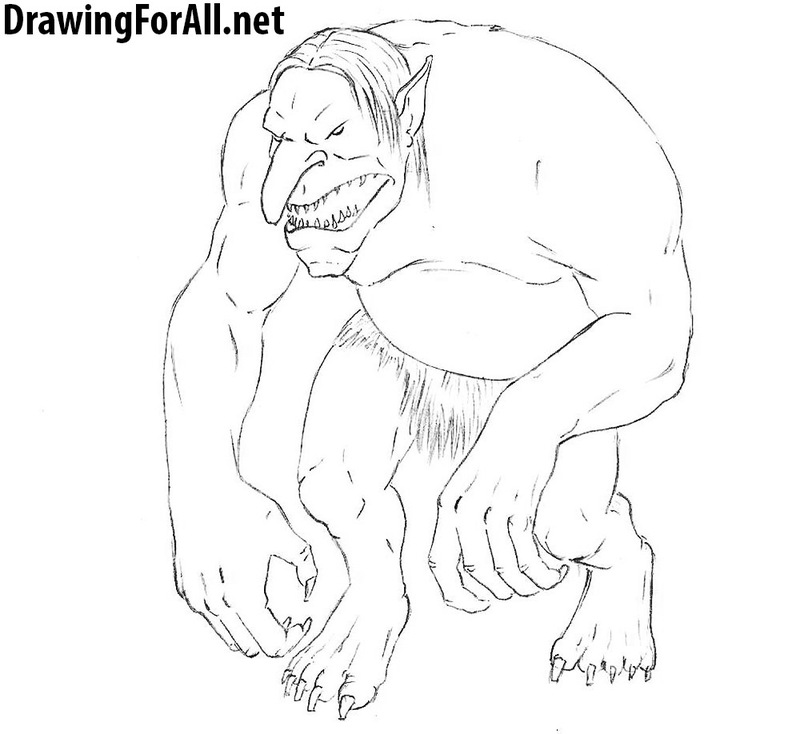 Troll is supernatural creature from Scandinavian mythology, a mountain spirit associated with a stone. In scandinavian mythology they usually hostile to man. 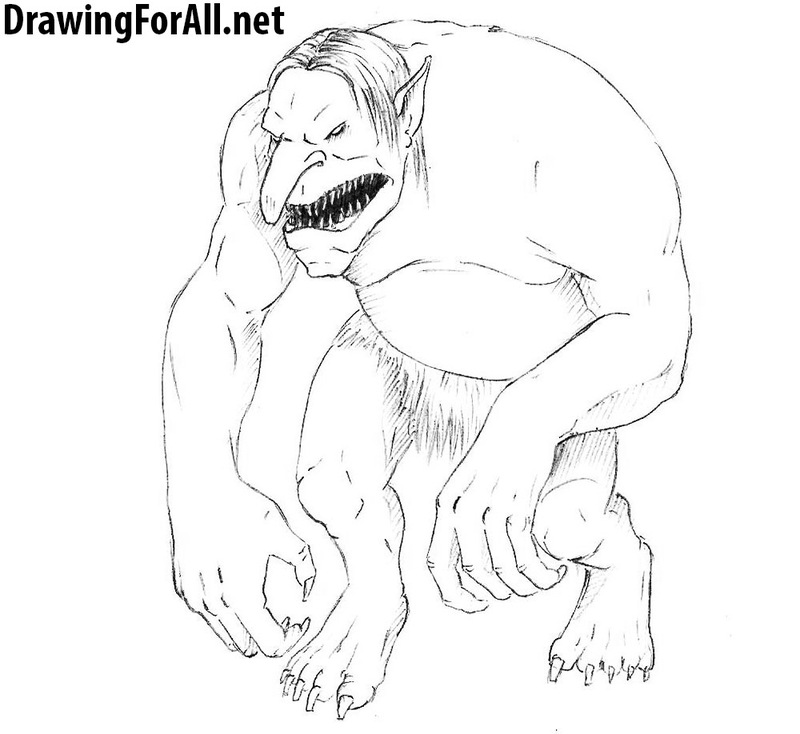 Trolls are often featured in fantasy literature, games and movies usually in a beside with other monsters like ogres, goblins and dragons. 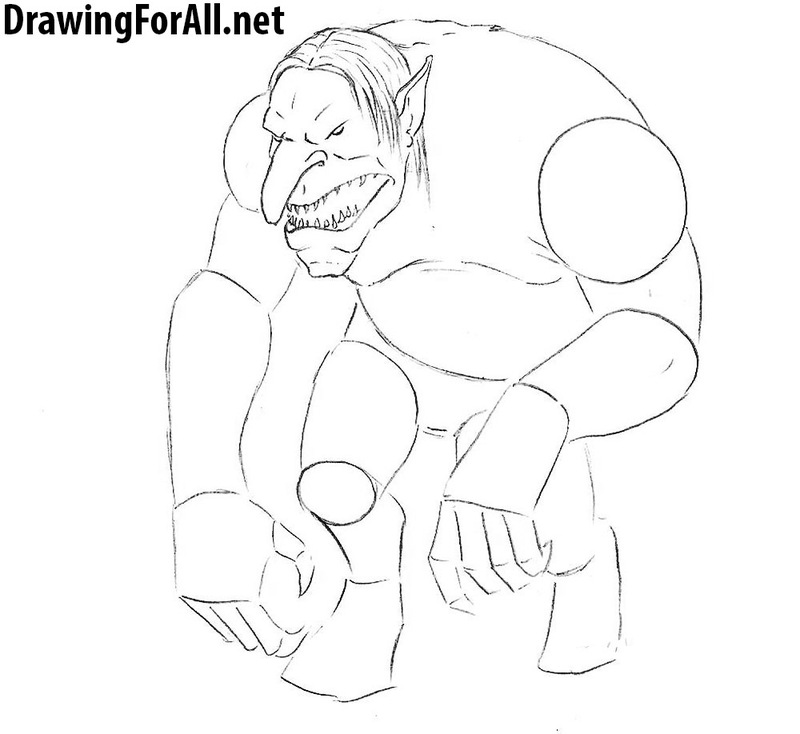 Trolls are quite disproportionate when viewed from the point of view of human anatomy – big head, long arms and short legs. 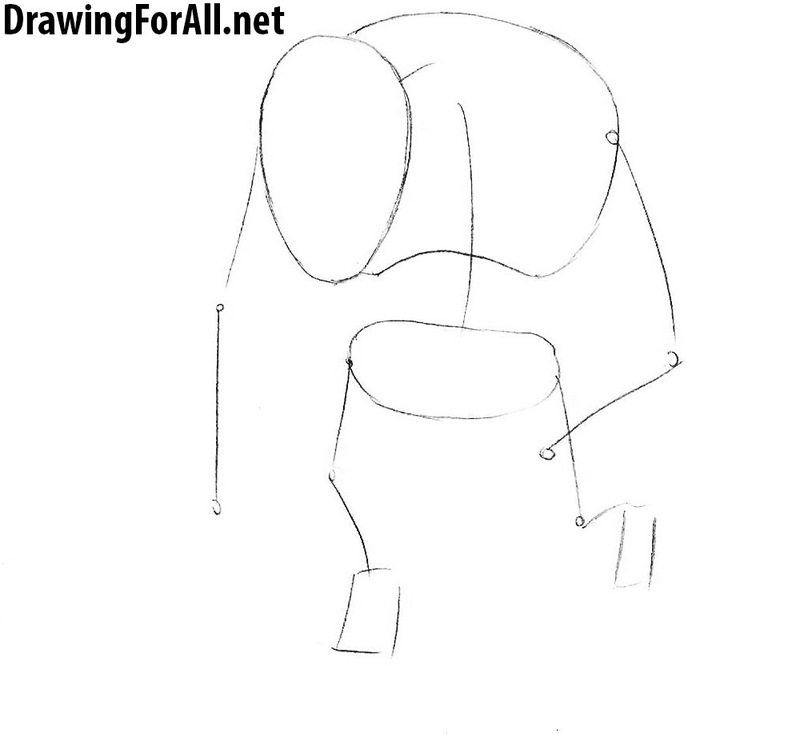 So draw an elongated head, a spine with a thorax and a pelvis, arms and legs. As you know, all the lines of the first step should be made very light. with long fingers. 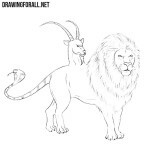 Sketch out the legs as in our example. Also do not forget to outline the lines of the face that will help us draw the details of the face. 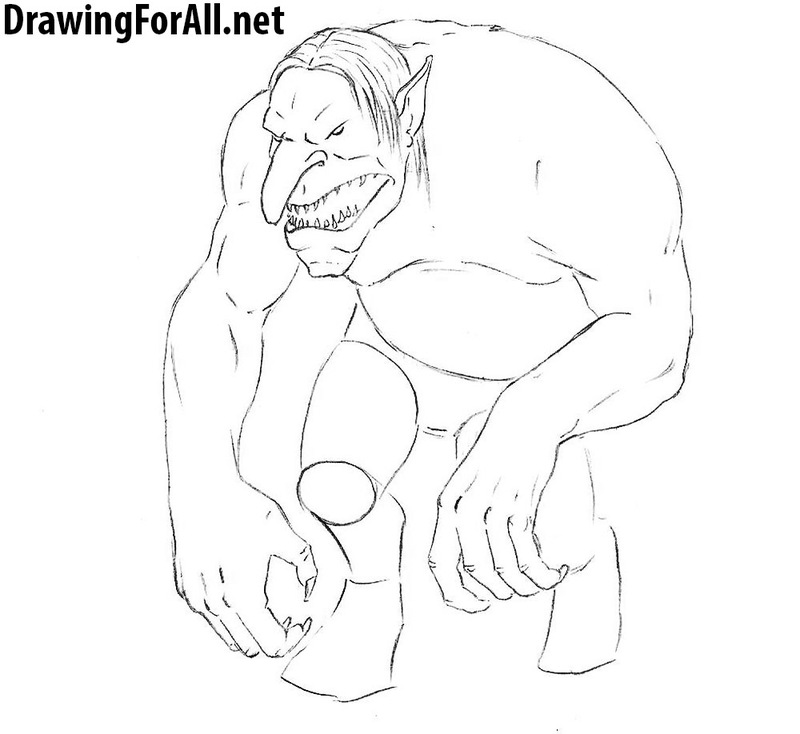 We continue the lesson about how to draw a troll. 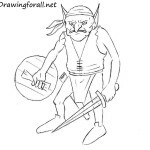 Draw long pointed ears. Further, we give the jaw an elongated appearance and sketch out a few wrinkles. And at the end of this step draw straight and long hair. Trolls, though very strong creatures, have no beautiful torso and overall athletic appearance. So we draw a rounded abdomen, hanging breast and humpbacked back with protruding vertebrae. Also draw out the hands with long fingers and long nails. Trolls are almost always naked or half-naked. So we draw him either a loincloth or a skirt from grass, as in our example. 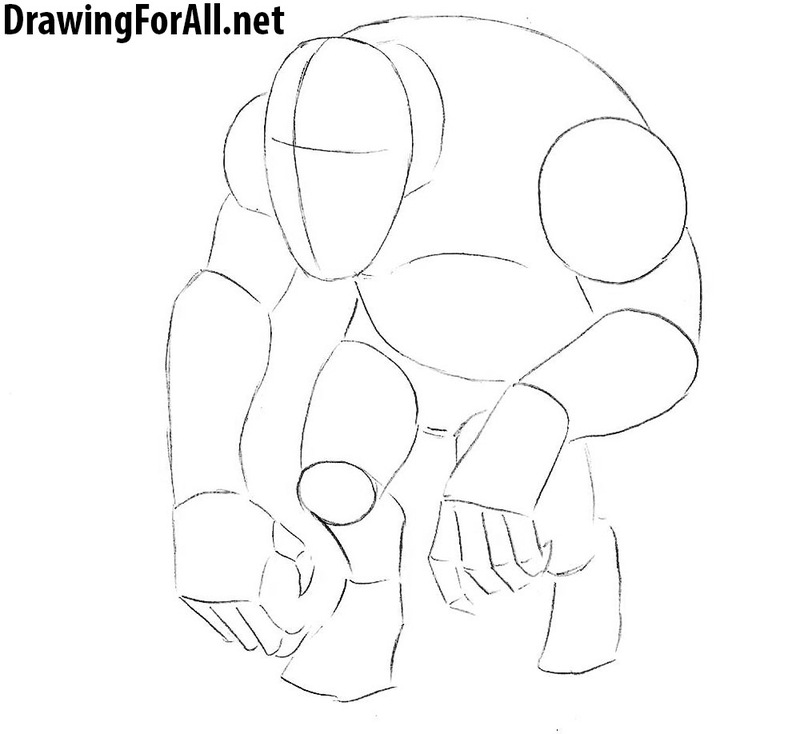 Next we draw short but very muscular legs with large feet. 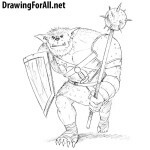 Using hatching paint over the areas of the shadows. 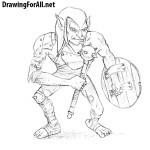 Our terrible and powerful troll is ready for battles with great wizards and fearless knights. If you liked this lesson and want more of such lessons – then be sure to share it and subscribe to us on social networks.